2.1 Purpose: To manage and coordinate all the programs (research and otherwise) of the Ebony Center supported by various funders. Juba, South Sudan, Custom Road Opp. Zain Building. 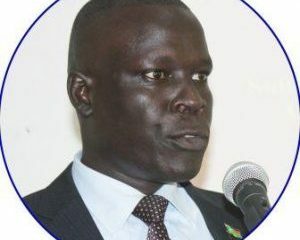 The Center is dedicated to serve the people of South Sudan by undertaking strategic studies in the key areas of public policy, capacity building & institutional strengthening, agricultural development, poverty analysis, private sector development, oil & gas, banking and financial sector development. Dr Lual Deng with the Deputy President of South Africa. 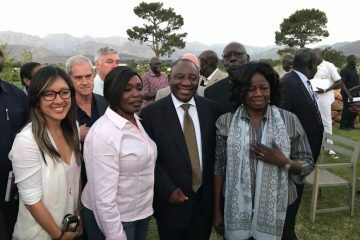 Dr Lual Deng With Deputy President of South Africa at a retreat outside Cape Town for national dialogue leadership. 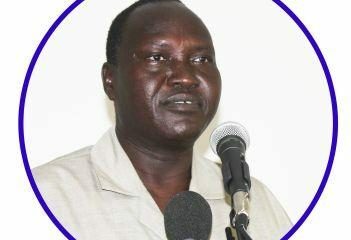 TGoNU not fighting UN-SPLM General Secretary.